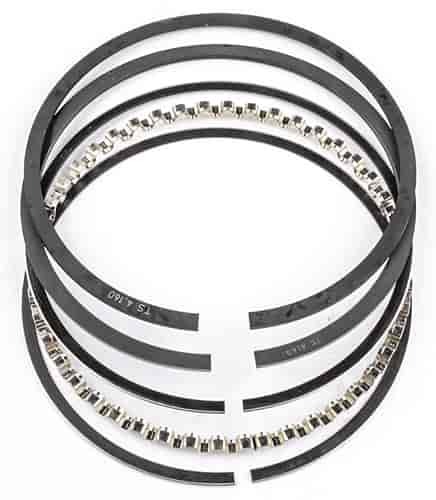 Total Seal Classic Race Piston Ring Set Bore Size: 4.035"
Total Seal Conventional Classic Race Piston Rings are the ideal ring set for street use, race applications, and mild nitrous applications or forced induction. Each set starts with Total Seal's ductile iron, plasma-moly coated conventional top rings. They also feature conventional cast iron second rings and 3-piece standard-tension stainless steel oil rings. &nbsp;Is this a set of 8? Yes, this is a set of piston rings for an 8 cylinder engine.